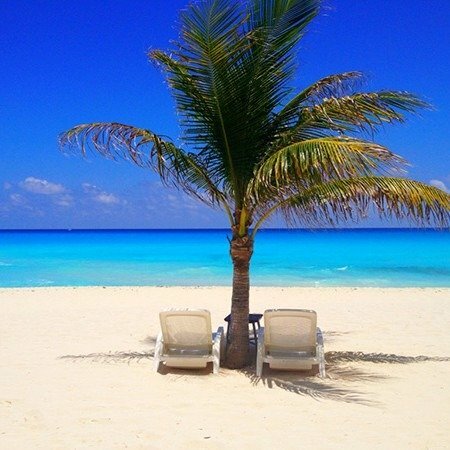 Get a white smile while you enjoy a vacation in Cancun! When you come to vacation you can also have a laser whitening to get a bright smile that can match that awesome tan you will get! Laser Whitening is performed in less than an hour in our clinic. Up to two shades lighter can be accomplished and it can last up to two years. It is safe, fast and you can have a white smile in less than one hour! It will not affect any tooth enamel or existing fillings. Worn enamel: Over time, the thin, hard white substance covering your teeth (enamel) may become worn, dulled, or discolored. Such wear and discoloration may be natural or the result of a genetic predisposition; however, it is often a result of your habits (soft drink, tea, or coffee consumption, smoking, medication use, etc.). In the Laser Whitening procedure, a peroxide solution is placed over your teeth and then we use a light or laser to accelerate the whitening process. It takes approximately 1 hour to complete the procedure. The process involves no additional treatment to be performed at home. The main ingredient in the gel that’s used during the process is hydrogen peroxide. Laser whitening has a satisfaction rate of about 93%. The long-term results depend primarily on each person. Daily habits such as smoking or drinking coffee may lessen results; but, it should last for 2 years. Does whitening make my teeth sensitive? Sometimes it can cause sensitivity because of the medication that we put on the enamel. With the whitening, we give you a gel that helps to reduce the sensitivity during the days of the treatment. Don’t worry, your teeth will look amazing. How many days does the sensitivity last? It depends on each patient it’s usually only temporary and other times there is not even any sensitivity. Can I smoke after the whitening? If you can, avoid it as much as possible; if not, just reduce the amount of cigarettes per day. The nicotine causes change of color in your teeth and we are trying to avoid any stains on your teeth. You should avoid drinks and food with a lot of colorant, like red wine, carrots, coffee, blueberries, any type of cola drinks and foods that can pigment your teeth and stain them like they were before or worse. You also have to avoid citric foods. If I have crowns or veneers, can I have a whitening? The whitening is only for natural teeth, the crowns or veneers wouldn’t change color with the whitening; if you want your crown or veneer whiter you will have to have them changed. Q: How long will my Laser Whitening last? A: It should last up to 2 years. Of course, the care in the next 48 hours after the treatment is an important issue and will determine how long your treatment will last. Q: What is the aftercare of Laser Whitening? A: The following 48 hours after the treatment smoking is forbidden and there are some drinks you should avoid: such as orange juice, red juices, coke or any colored beverage. Q: Will my teeth get sensitive after the treatment? A: Yes, they can get sensitive for 24 hours. Q: Is it a painful procedure? A: In general this is a very simple procedure where no anesthesia is needed as no pain is experienced. However, some patients may experience minor sensitivity during the procedure or in the following hours. This sensitivity lasts no more than a couple of hours and it can be resolved by taking an analgesic. Q: How white will my teeth get? A: Laser Whitening cannot make a color change, but lightens the existing color.